renamed Tattenhall Road; because another station called Tattenhall, located closer to the village was opened on that date. 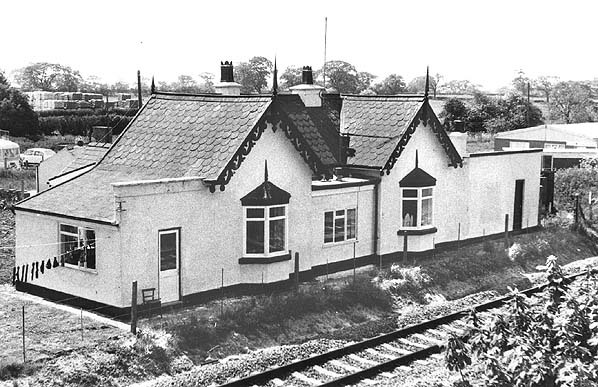 The station reverted to its original name on closure of Tattenhall on the Whitchurch line in 1957. 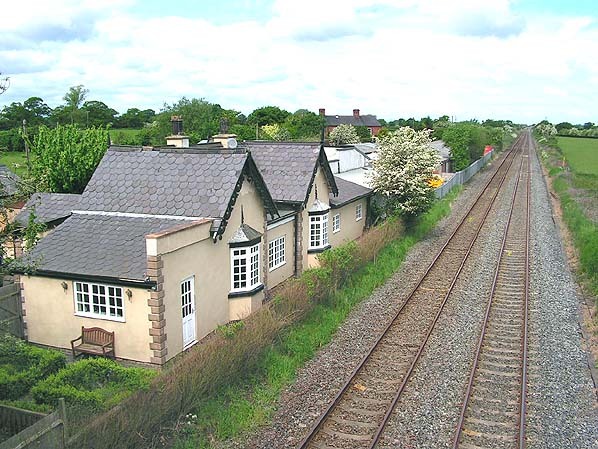 The station was located about one mile north of the village of Tattenhall. It had two platforms with a substantial brick building on the Chester direction side. The Crewe to Chester line became a busy route linking Crewe with Holyhead. However Tattenhall Road was served mainly by local services. The line had had five stations in all but three of them had closed by the mid 1960's. The last two to go were Tattenhall and Beeston Castle and Tarporley ; they both closed goods on 4.1.1965 and to passengers on the 18.4.1966.
long distance services; the station building is still extant and in use as a private residence.